As it is said that every morning you have two choices either you can continue to sleep with your dreams or wake up and chase them..
Dream castle is all about beautifull tales beautifully crafted around dreams, passion, love and happiness.. written by young writers and this thoughtful anthology will generate feelings in you and will take you to a fantasy ride and will definitely strike a chord inside you which will resonate with your dreams .. Editing has been done by kavya shah and akash rumade and they have succeeded it in..and have done their jobs aptly and you can not point out even a single mistake / flaw in their work..kudos..
1. The guardian angel by ruchi rai : every girl dreams of a picture perfect boyfriend/bridegroom and this story revolves around a girl who wished to be loved and get betrayal at first and eventually cupid striked his arrow and she fell in love again and this time with the right man at the right time and later they lived happily married after..! Beautifully written , any girl can fall in love with the characters and you will love this short one for sure..
2. The knack of present by kavya shah : if you love someone truly ,nothing in this world can make you forget them, the bond of love between a husband and wife is far much stronger and you can feel this divine love through this story..
Kavya spellbounded me through her imaginative power and her way of storytelling ..this story will leave you with a big smile on your face and eventually it will make you believe in love too..
Reminiscence: we all have some dreams some expectations from our life partner and we do live in a world of dreams ..but it is not necessary to have someone exactly what we have wished for, kavya shah has beautifully taken up this concept and explained the life of a girl after marriage ,about her changing dreams and about the adjustments a couple do in order to turn their wedding into a beautiful marriage ..flawless, a beautiful story , catchy lines ! All in all a very emotional touchy one..! 3. Priyanka raiyani bose : breeze of love : when destiny has its own plans , no matter who you are and where you are , cupid will strike his arrow and you will have no option other than believing in the same. When your eyes meet someone and that person turns out to be your future husband, definitely it will looks like dream come true..! And this story has been written on this very same concept..! Priyanka di has played with the words so beautifully that girls will surely go awww at the end , life is definitely always full of love and this picture-perfect-dream-turned-story will leave you dreaming and definitely with teary eyes..! Anecdote an incident of life : drafts has been beautifully written covering an entire relationship of love , mishaped because of ego and misunderstandings and how these ruthless things destroys a relationship.. i felt it could have been a bit better , overall priyanka di's observing power and her reality based story left me mesmerised ! In this story , you can actually visualise today's scenario.. The fabbler : the journey of an author from the beginning to the end, all the struggles they gone through, criticism, success all the flavours have been terefically combined..! I have started loving akash's writeup ! 5. The new beginning by rohit sukhwani : isn't it crazy that we indian's just fall in love like crazy with our favourite actors/actress and run behind them like like anything , but what if one day we reach upto a level where they turn up to meet us.. ? This story will make you learn to achieve alot and will be an inspiration to all of them who wishes to live their life according to their own terms..! When you can dream big , when you actually fumble and then stand up on your feet and be what you wish to , and turn you dream into reality that is your d day ..! This story will redefine the meaning of dream..! 6.dream it , destiny will follow you by isha sharma : as the name says , it is a story of a girl who dared to dream , dream to be a fashion designer and who rather accepting his parents choice , went to chase her own dreams and who turned out to india's leading fashion designers..
Parents generally don't let their children go for their dreams and very obviously ask them to choose what they wish for.. This story will definitely teach us to let our children be free and let them chase their dreams.. rather being a hurdle in their way we can actually be their support..
Isha sharma has aptly saw what is prevailing in the society and wrote story on the very same idea.. thought provoking and indeed a great choice of words ..! Perfect ! 7. Gateway to *happyness* by Swatti chandak : after loosing your love interest and getting married to an unknown , is definitely painful and this story is based on a girl who is still trying to live and how she tries to find his happiness in his son and his husband .. wow writeup , appreciably written , not even a single flaw and mesmerising ..all in all , a very emotional writeup .! 9. Light in nightmares by vipul dhingra : if something nasty happens to you , you should not stop dreaming and this story is based on this very same concept .. but it could have been a bit better..! And it din't took my attention..! Overall a so so one..! 10. I wish our roads cross someday by hemant shardul : love unites us , but religions divide us and sometimes we loose our beloved because of this very same reason..hemant has portrayed the story really well and i loved it to the core..!perfect ! 12. Dream or craziness by ankush gupta : real dream are those which just don't let you sleep ! Such kinda story is written by ankush ! 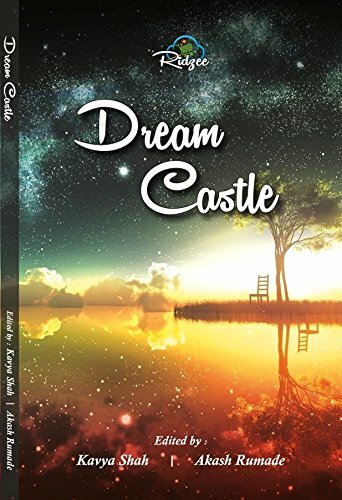 How a girl ran away from her house in order to achieve all her dreams and yes the journey from the beginning to end and how she got everything what she has dreamt of..this story will definitely help you to rediscover your dreams and will motivate you to keep moving ..absolutely one fine story with gripping lines ..a must read ! 13. Love by chance by manas jonraj : love at first sight happened on a train journey . It is an usual one but it could have been a bit better , although the way author has portrayed the characters and story is simply beautiful..! One time read. 14. A mysterious dream by kajal lalwani : a story based on karma , killing , re-birth revenge and efforts..! All together a very good concept and effortless narration ! Totally a wow one..! 15. Gusty 'she' by aditi srivastava : if you din't face any difficulty in your path , then you are on the wrong way . This story is Based on a girl who actually has a dream but hurdles don't let her achieve her dreams , demotivated in the initial step and later achieves her dreams coz of her will power and constantly done hard work..! This story will teach you to be determined all the time and will definitely teach to move further ! 16. Black and blue by anirban nanda : a potential story basically written on the concept of haunted dreams ! 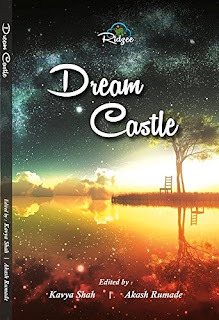 It could have been a bit better, though the story line is exceptionally good as many a people go through the very same dreams..
17.my fairy tale by dishi kriplani : the dream of a girl ,beautifull explained in the form of walpapers and nice quotes..good one ! I must say different dreams of different people has been perfectly written and portrayed..! Congratulations to all the authors..! I m in love with all the stories..! I'll rate this book as 4/5 stars. Buy this book from Shopclues. Stay tuned for more reviews.